MOSCOW—Former U.S. president Jimmy Carter says he is pleased with Russia’s commitment to implement the Minsk agreement. Carter and other former global leaders met with Russian President Vladimir Putin for 2.5 hours Wednesday in Moscow. The group, called the Elders, visited at a time when Russia’s relations with the West are severely strained over Moscow’s seizure of Crimea and the deadly conflict in eastern Ukraine. The Minsk II agreement was reached in February by France, Germany, Russia, Ukraine and pro-Russia separatists. It envisions a cease-fire and withdrawal of foreign troops and heavy weapons leading to a lasting, legal and political solution to the conflict in Ukraine. The deal is considered by many to be the last, best hope for peace in eastern Ukraine while more hawkish Western politicians are calling for arming Ukraine’s military to better stand up to Russian forces backing the rebels. The United States and its European allies have considerable doubts about Moscow’s commitment to the Minsk accord. On Thursday, General Philip Breedlove, the NATO commander, testified before the U.S. Senate Armed Services Committee that Russia appears to have used the lull in fighting since the Minsk II agreement was signed in February to “reset and reposition” forces near eastern Ukraine. Breedlove said many of Russia’s actions are “consistent with preparations for another offensive” into Ukrainian territory. Carter acknowledged Ukraine still needs Western military support in the form of “non-lethal equipment.” The United States and NATO have not sent weapons to Ukraine, but sent medical supplies and other equipment, such as radios, vehicles and defensive radar systems. The former U.S. president repeated his position that Russia’s annexation of Crimea was “inevitable” because of its Soviet Russian roots, and was what the people of Crimea wanted and would not be undone any time soon. “I don’t know what initiative came from the people in Crimea and what initiative came from the people in Russia,” said Carter. Carter originally stated that position a year ago, shortly after the annexation happened, but he also has said Russia should not be allowed any other territorial gains in Ukraine. Some have considered that Jimmy Carter has tended to be naive in certain international matters–though on Crimea, it may be others who were more naive than he. That being said, Jimmy Carter probably had more personal integrity than other USA presidents during my lifetime. But this does not really change the situation between Russia and Ukraine. Basically, Vladimir Putin wants Europe to concede more of Ukraine to him and hopes that he can do this without war. 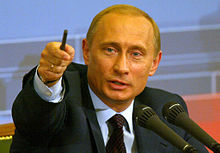 It should be mentioned that not all of Europe opposes Vladimir Putin. Part of Moldova seems to support him, there is some limited sympathy in parts of Hungary, and there is support in Serbia. But then there are the Baltic states and other parts of Europe who are greatly concerned about Russia. Russia, it should be mentioned however, is NOT biblically the power that is prophesied to takeover the USA and its Anglo-Saxon allies–Europe is (cf. Daniel 11:39). Later, however, Russia prophesied to destroy Europe (e.g. Jeremiah 51:11-32)–but this is AFTER the great tribulation. Russia seems to believe that more delays will frustrate those in eastern Ukraine as the Kiev government has cut them off from certain support and trade. If Russia’s President Putin believes the time is right, he will try to gain more territory from Ukraine. I do not believe that the Minsk deal changes his view on that. Russia’s President Putin does not care much for US presidential hopeful Hillary Clinton (see also Hillary Clinton in Prophecy), and if she becomes US President relations between the USA and Russia would likely sour more than they already have. 12 Apocalyptic Risks from Oxford University Oxford University’s Future of Humanity Institute and the Global Challenges Foundation issued a 212 page report titled “12 Risks that threaten human civilisation.” The Russian Times reported about it with an article titled The article was titled, “12 likely causes of the Apocalypse, as seen by scientists.” Risks included asteroid impact, supervolacanic explosion, global pandemic, nuclear war,climate change, synthetic biology, nanotechnology, unknown consequences, ecological collapse, economic global system collapse, bad governance, and artificial intelligence flaws. Are the risks greater than what Oxford scientists believe? What does the Bible say about these risks? This entry was posted on Thursday, April 30th, 2015 at 3:00 pm	and is filed under Prophecy.